What better day than the opening day of baseball to honor my dad, and brag about his baseball accomplishments! Dad would never have told you these things, but if you started asking questions, he would have told you some great baseball stories. Asking Dad’s friends about his baseball accomplishments; however, opened a floodgate of stories about what a great baseball player he was! Dad was always quite the athlete. 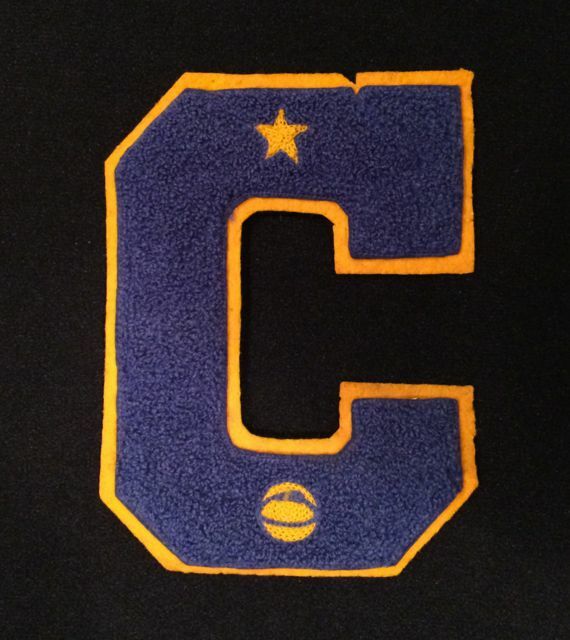 He was captain of his high school basketball team, but his first love was always baseball. Dad grew up with three brothers and a tomboy sister, and they spent every spare moment playing baseball with their cousins that lived nearby. During recess at school they could also be found playing baseball even if it meant using an old board for a bat, and a ball that was falling apart. Dad’s brother became very good at sewing covers back on their old baseballs because they couldn’t afford to buy new ones. As dad grew up he excelled at baseball. He had unusual skills as a right handed player, batting left handed. In addition to his high school team, he played on local community teams. Word spread about what good players he and his cousin Neal were, and a local scout came to watch them play. 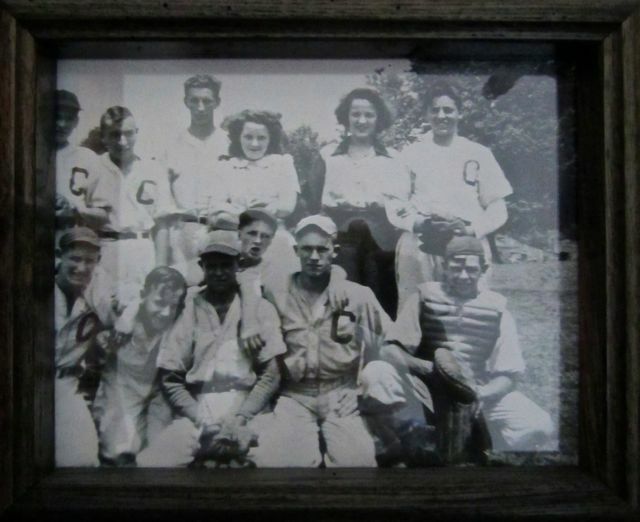 In 1947 Dad and Neal were signed by the Brooklyn Dodgers to attend their training camp and try out for the team. They caught a bus to High Point, North Carolina where they attended Spring Training with the Pulaski Counts Farm Team. Dad was assigned number 13 and given a mismatched uniform with over-sized pants fit for someone twice his size. 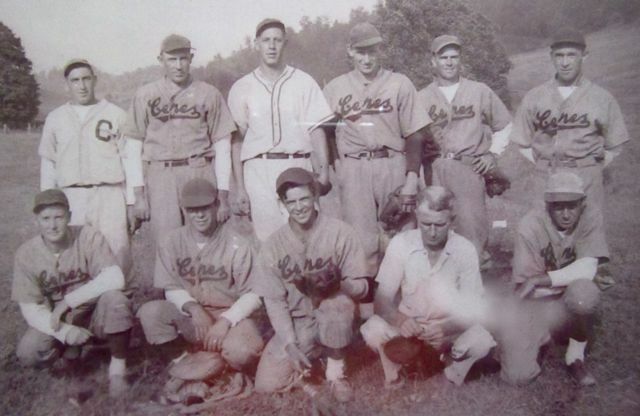 The Pulaski Counts played in the Appalachian League from 1946 to 1950. The Appalachian League was a rookie-class minor league made up of small-town teams in the Appalachian Mountains of Virginia, Tennessee, North Carolina, and West Virginia. They were considered a Class D league. Larry Kinzer was the manager of the Pulaski Counts in 1947 when my dad attended training camp. The team went 79-43 and finished in first place that year. Dad played third base and his coach took a special liking to him. 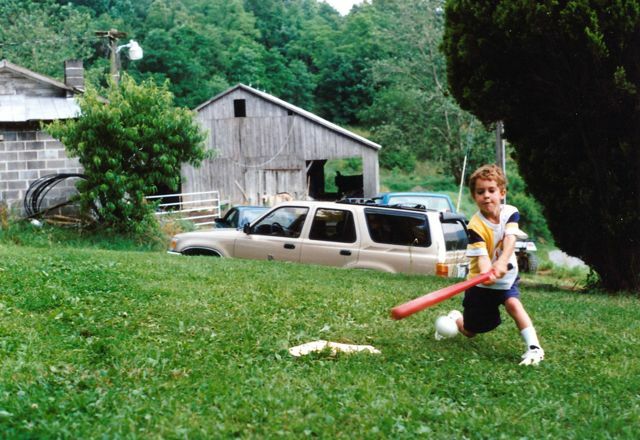 The coach gave Dad extra hours of practice which just might have led to the end of his major league chances. A serious cut with a saw to Dad’s left hand the previous summer was still causing him great pain, especially with the additional time working with the coach. 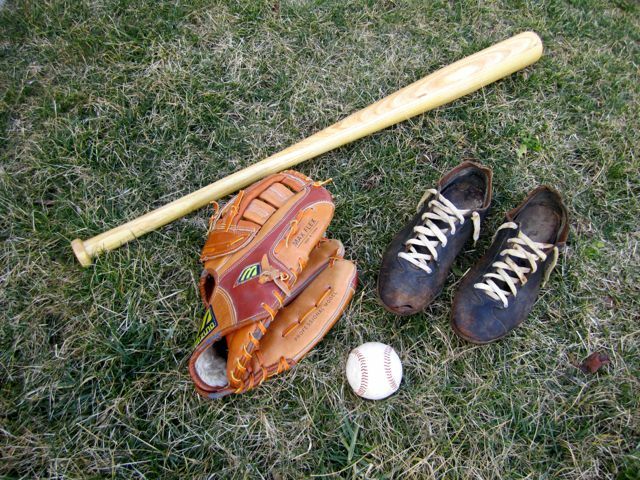 Baseball gloves were pretty flimsy back then and provided minimal cushioning to the palm of the hand. After just a few weeks, the old injury was causing Dad so much pain and interfering with his ability to play at that high level that he had to leave training camp. His cousin Neal stayed for several more weeks until he was cut from the team. 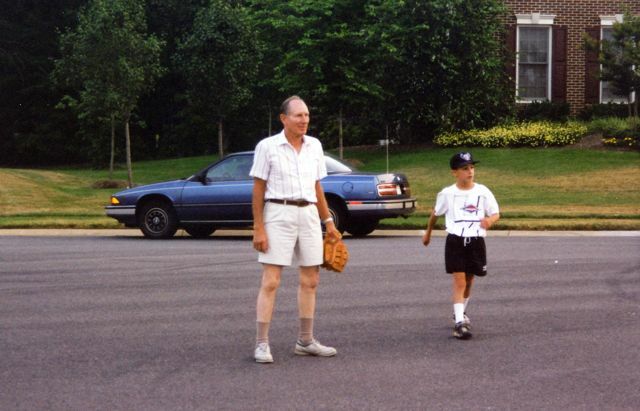 Back home, Dad continued to rule third base on his local community teams for many more years. Even today, his buddies still talk about what a great player he was. He said that he didn’t mind not making the Brooklyn Dodgers Farm Team because if he had made the team, he probably would have moved away and might not have married my mom. 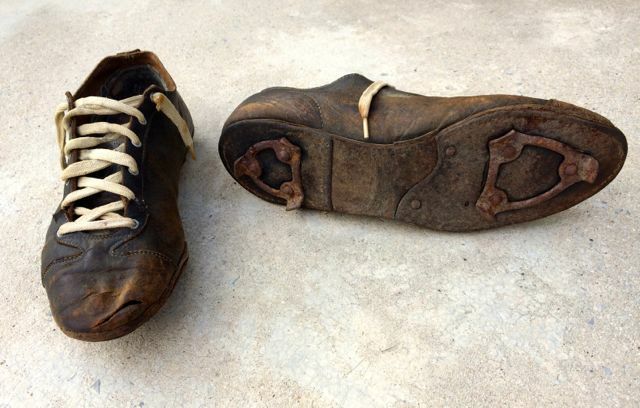 When visiting my mom last spring we dug out Dad’s old cleats and marveled at how much athletic shoes have changed since the 1940’s. We also found the baseball bat that he had made in his wood-working shop after he retired. We can’t find his old black glove that my brother and I remember him using throughout our childhood, because at some point he replaced it with the glove below. This tan glove brings back a flood of memories of Dad playing baseball with his four grandsons. 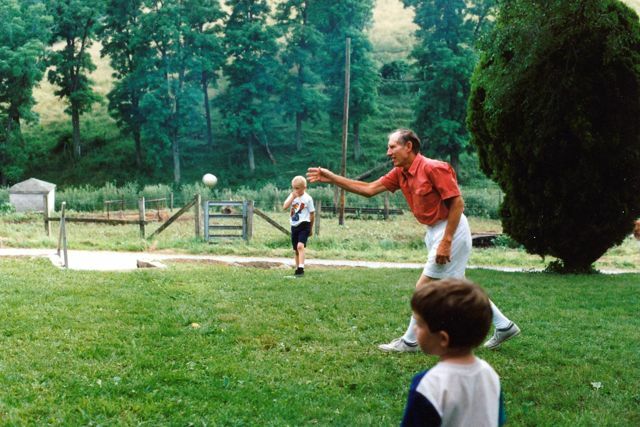 And that is exactly the legacy that Dad would want to be remembered by – playing baseball with his grandsons, and having time to watch them play in their Little League and high school games. so if you wanted a home run you had to earn it! and hitting about 19 out of 20 pitches. and Dave hit him with a pitch. Grandaddy made contact on a few of them. he pitched underhanded to us. Mine says “Hubble Heir” on it. and my sister Ann and brother Bill went to many of your dad’s games with me. I just read in my old diary that on June 29, 1952 he hit a home run! 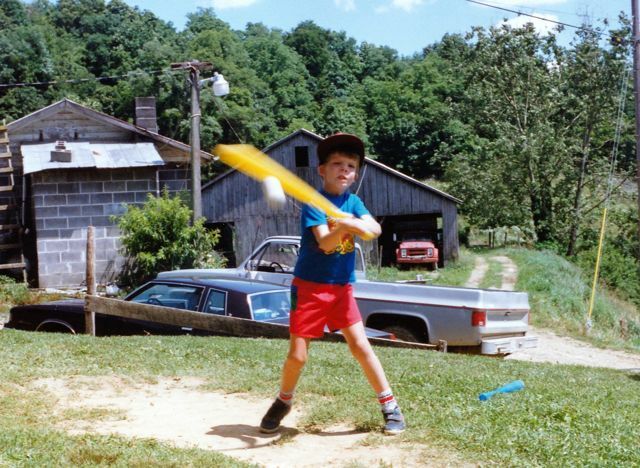 Baseball was usually the sport of choice at my grandmother’s summer cookouts, and you can bet that my dad was out there playing with the little ones. 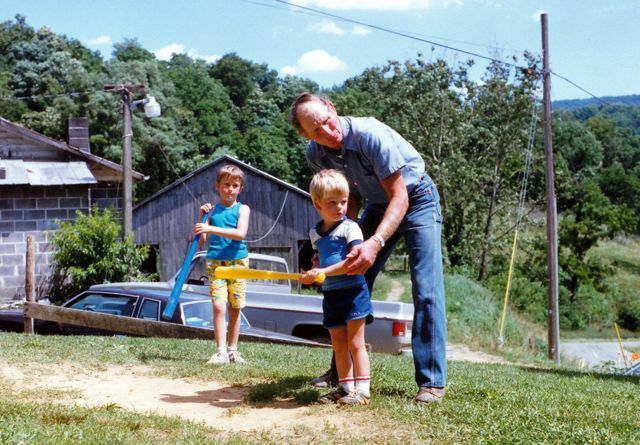 It didn’t matter if his grandsons, nieces, or nephews were playing, he was always there to show them how to swing the bat or throw the ball. 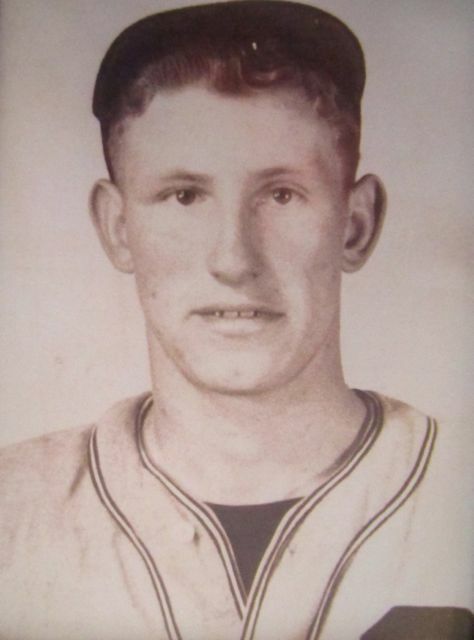 Even though Dad had an opportunity to play for the Brooklyn Dodgers, he was a lifelong Yankees fan. We had lots of fun smack talking when my Nats played his Yankees, but he usually got the last laugh. What’s your favorite story about a parent or grandparent? What games does your family enjoying playing at summer barbecues? Those are some fantastic memories and I love all the pictures. What great stories! 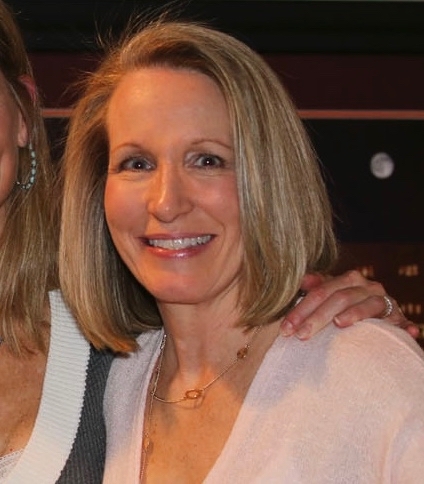 This is a great story, Deb–thanks for sharing! What a special guy he was and what an interesting life. 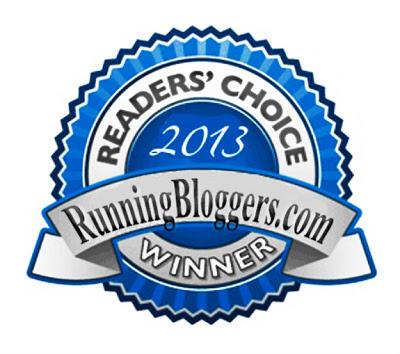 I shared a story on my dad last year on my blog about his running days. It’s always run to reminisce with him about those days! Thanks, Amanda! 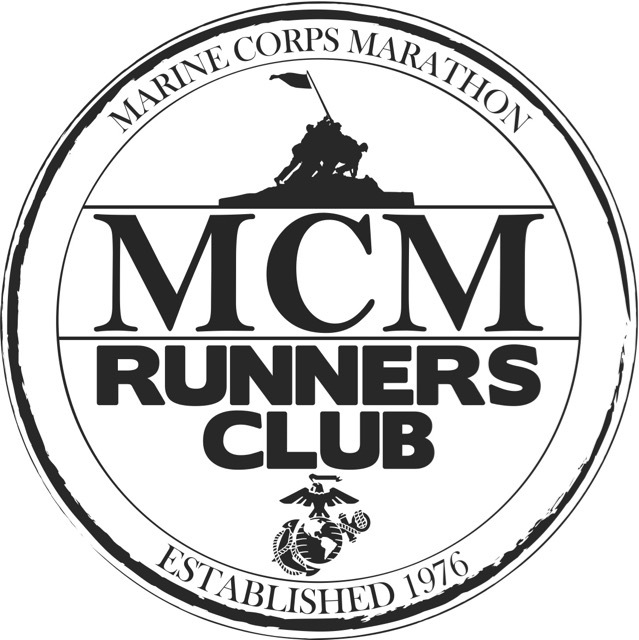 I love that your dad was a runner, too. What a wonderful story and so cool that you have the photos you have. I do love looking at my grandfather’s old pictures from when he played football. Talk about how their uniforms have changed! Have a wonderful week!! Thanks, Diane! 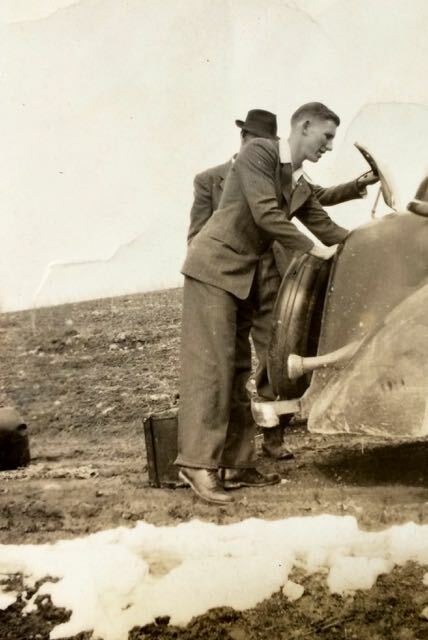 Did your grandfather wear a helmet? I seem to recall that football players didn’t wear helmets in the early days, and then when they finally got helmets, they were quite flimsy. I love the memories you shared here!! What a great way to kick off another baseball season!!! So funny that even though he was recruited by the Dodgers he was a Yankees fan!! BTW – I know y’all are big Nationals fans. Our friends son (Blake Treinen) made the 25 list roster for the year (pitcher) so he shouldn’t be just brought up occasionally!! Thanks, Kim! We will watch for Blake to pitch! what an amazing story! those photos are such treasures. Deb, what a beautiful tribute, and beautiful set of memories about your dad! And you’re right, it could not have been more perfect for Opening Day. Thanks, Anne! I am so glad I wrote down the details about his experiences at training camp when I asked him about it a couple of years before he passed away. Such a cool story! I wonder if he knew my second cousin. She was very close with some of the Dodgers players and administration, back in the day. Small world, you know? My stepdad was approached by the Orioles, and I think that’s about the coolest family story I have LOL. We did water balloon fights and sometimes croquet. Now, we are more into corn hole. Thanks, Jenn! My husband and my son just made a corn hole set last summer, so that’s become big at our barbecues, too. 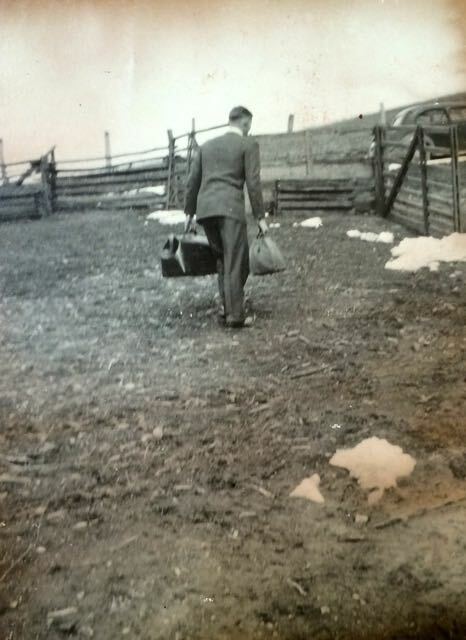 What a wonderful story – I love that you all have so many awesome memories of your dad and baseball. Seems like we were both reminiscing this week, Debbie! Thanks, Dana! It was a good week for reminiscing, I guess. What a great story! I love all of the photos!